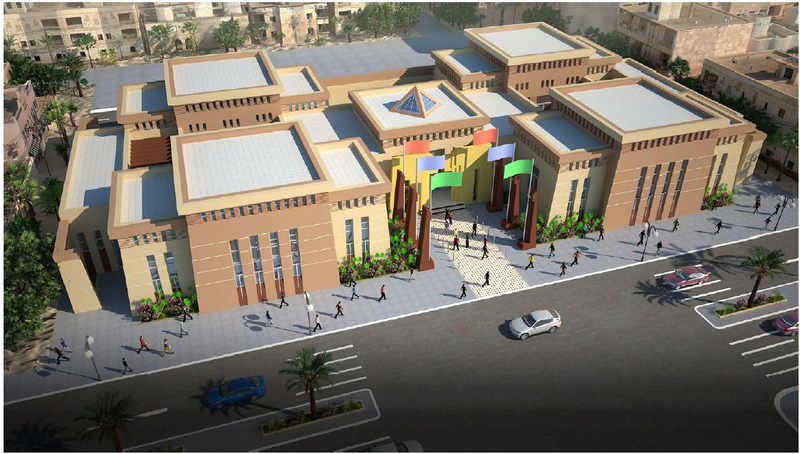 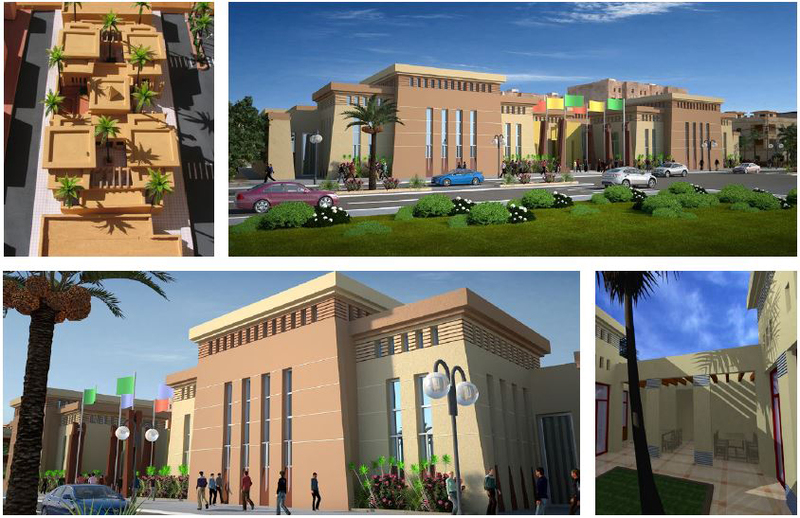 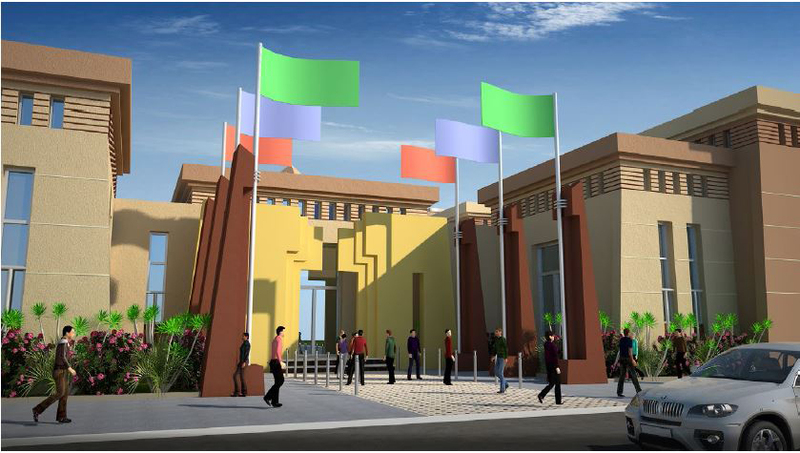 An architectural competition that was proposed by the Cultural development Fund that intended to design public child libraries prototype to be built in the southern regions of Egypt. 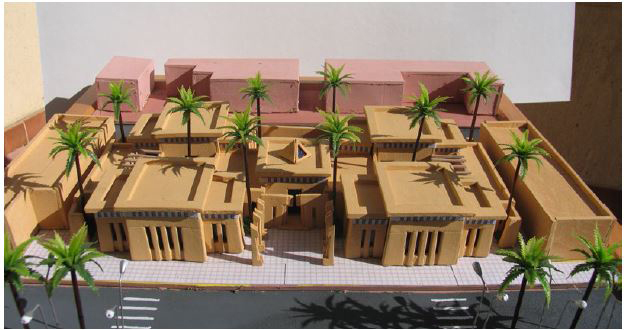 It was required to design an economic and sustainable building and to enrich the cultural conscious of the community. 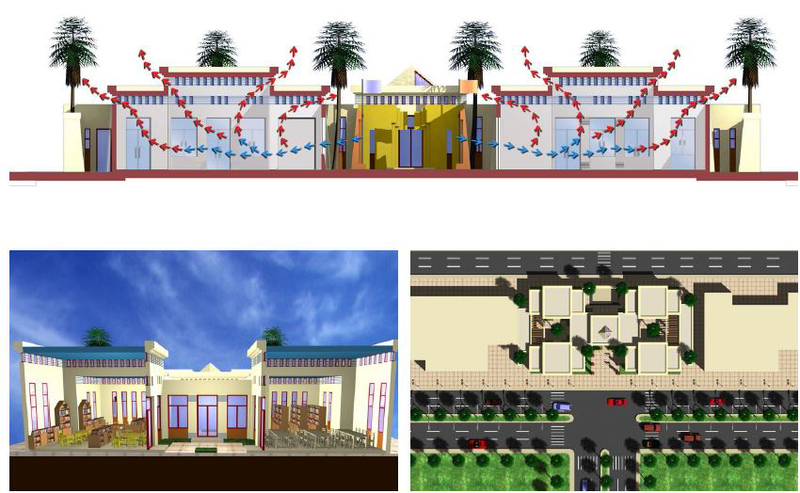 Regarding the rich architectural history of the southern regions in Egypt, starting from ancient Egyptian architecture to the Coptic and Islamic and finally the rural style of Upper Egyptian villages. 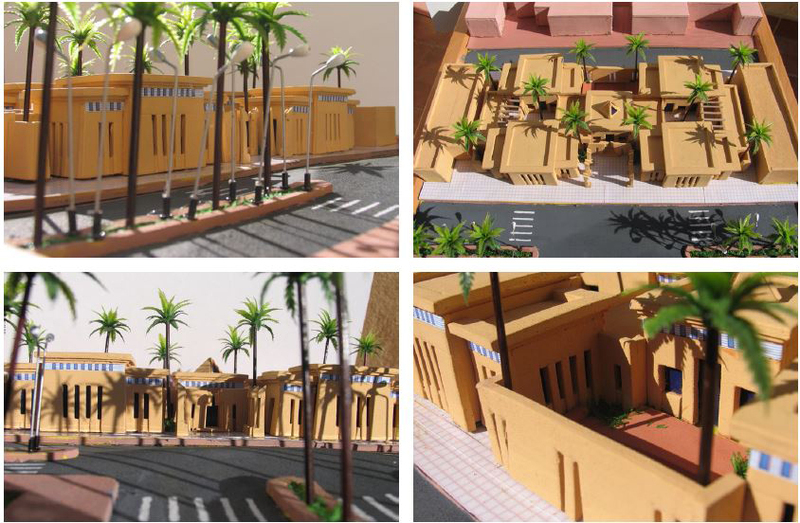 Architecture style has been inspired by some historic elements such like the inclined walls of the Egyptian Pylons, narrow exterior openings and wide interior ones arround the patios like Islamic architecture, and the form of the project consisted of many interseced masses different in heights like the urban forms of Upper Egyptian villages. 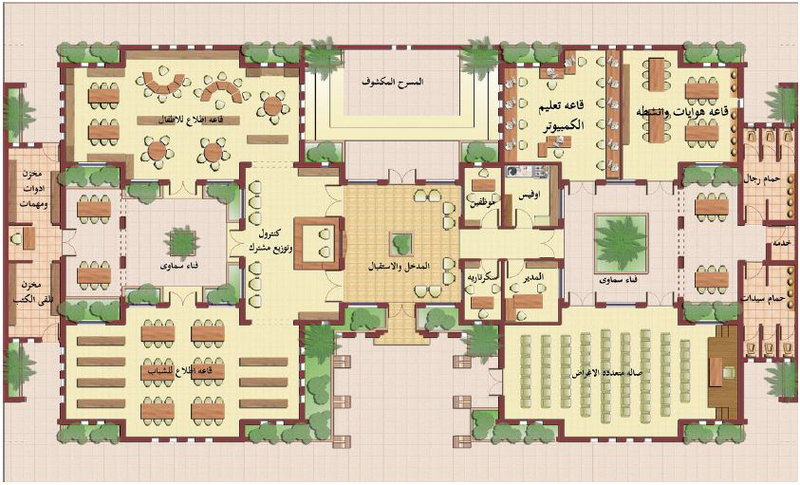 Distribution of building facilities was studied carefuly, so all spaces were surrounding open atriums which would be used for open activities and ceremonies.building was supported with thick walls to help in dcreasing the heat load anddesigned in a form of gradual masses that allow the cross ventilation throw the building, also high ceilings and upper openings helped in the distubance and stirring of air.